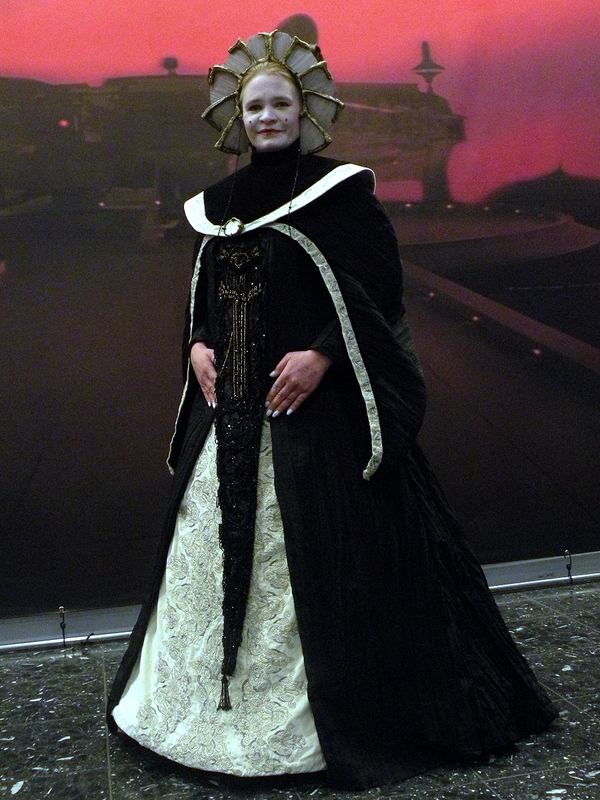 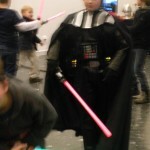 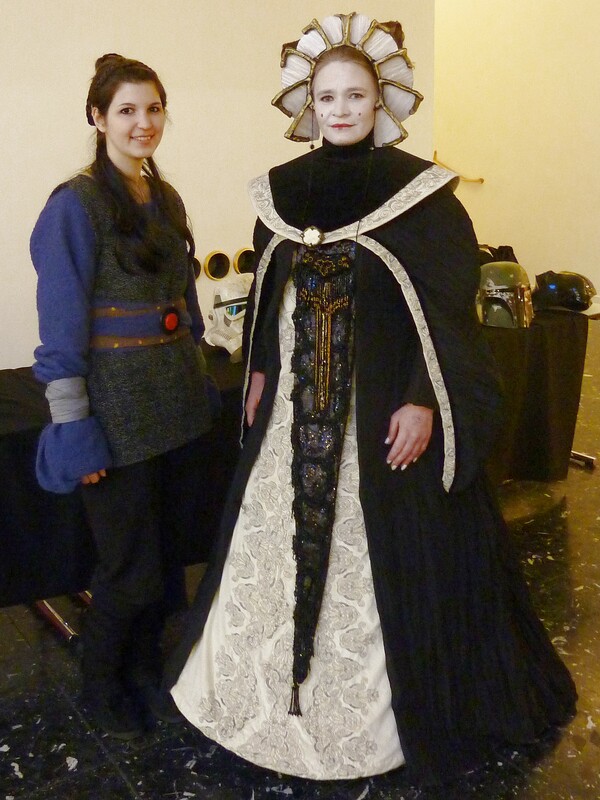 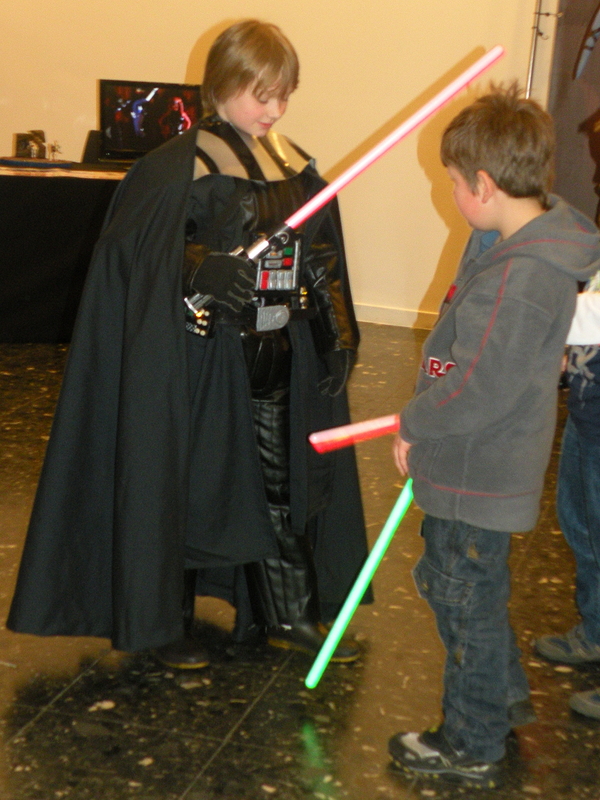 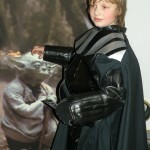 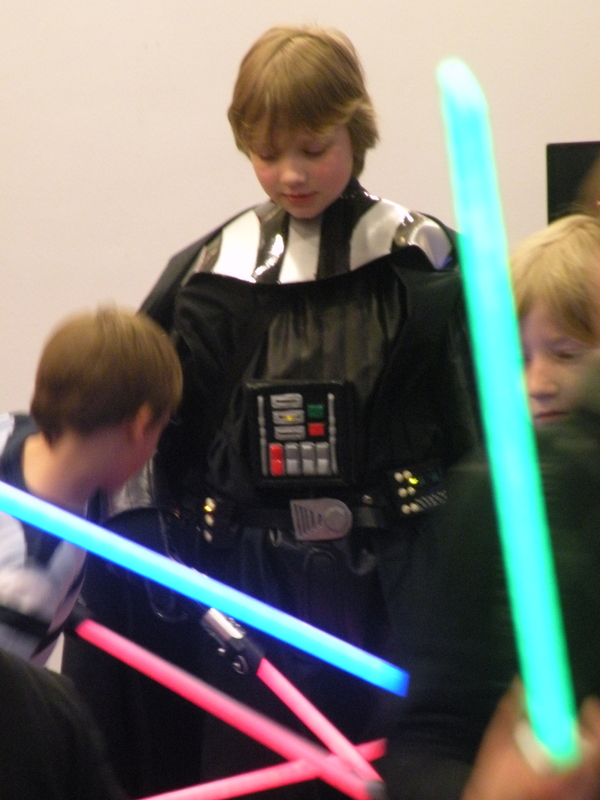 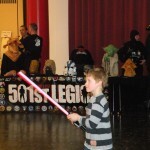 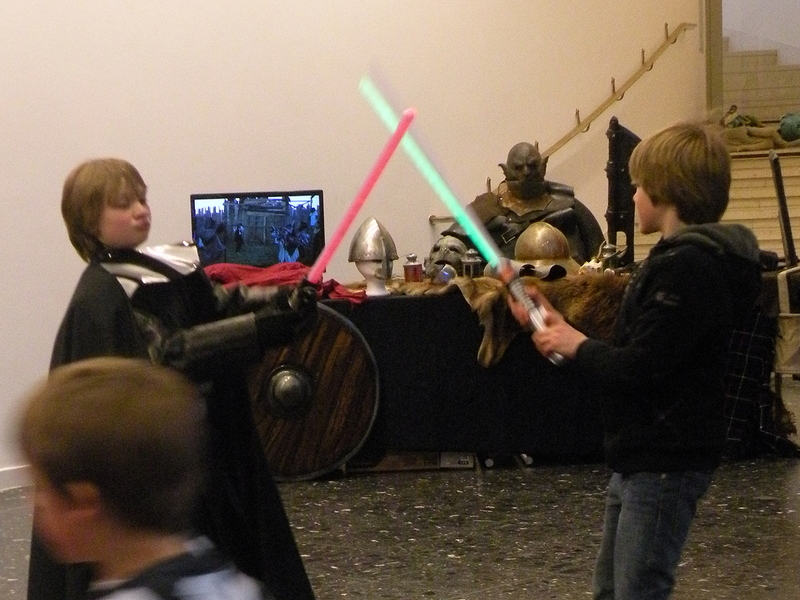 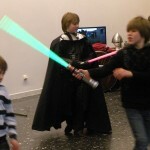 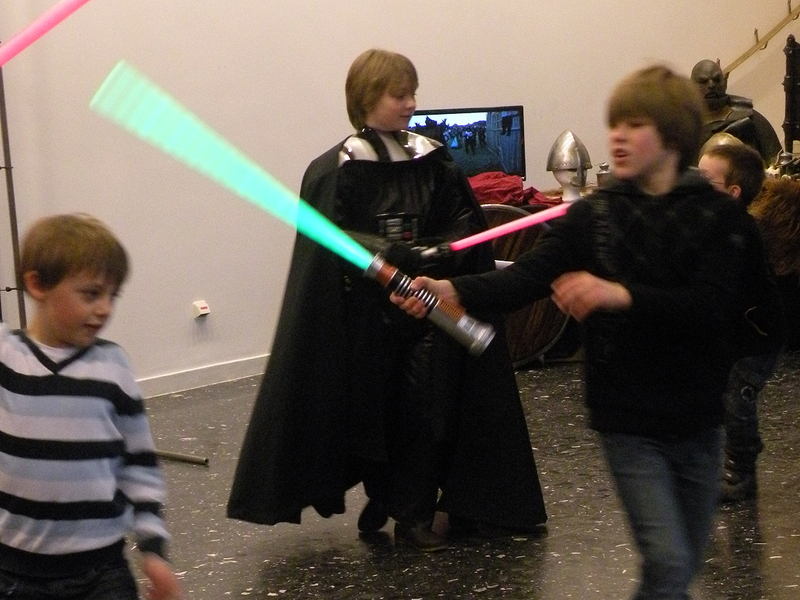 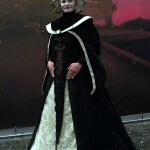 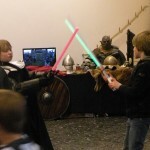 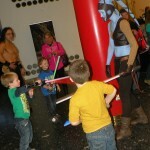 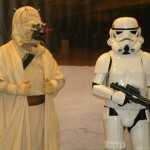 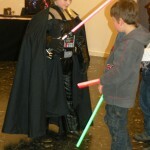 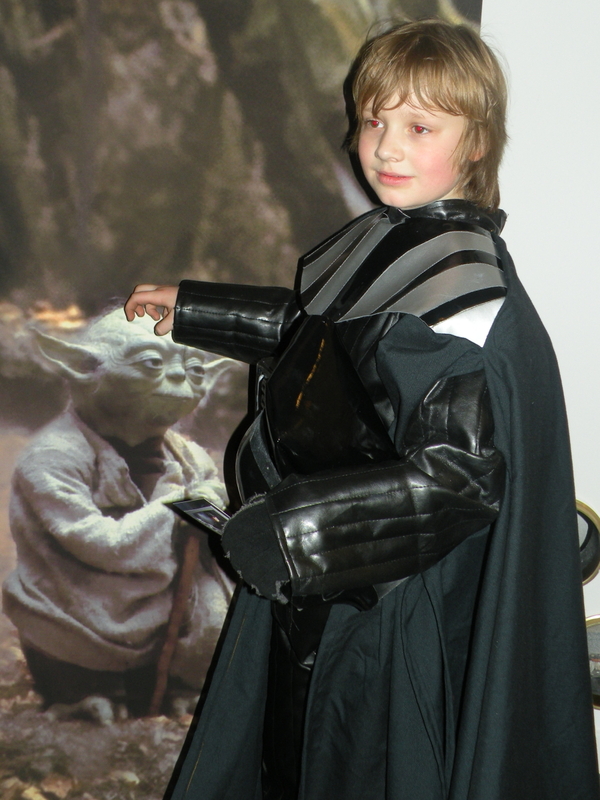 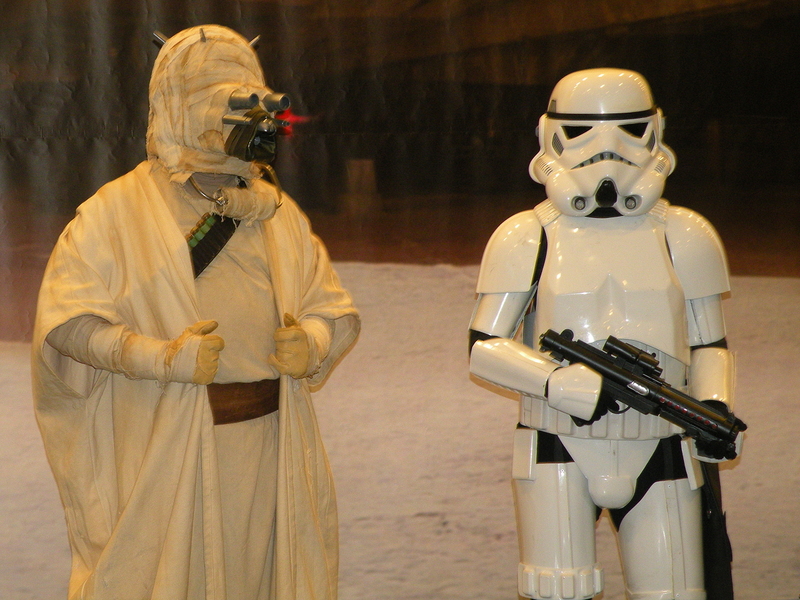 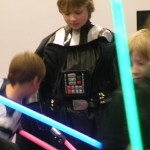 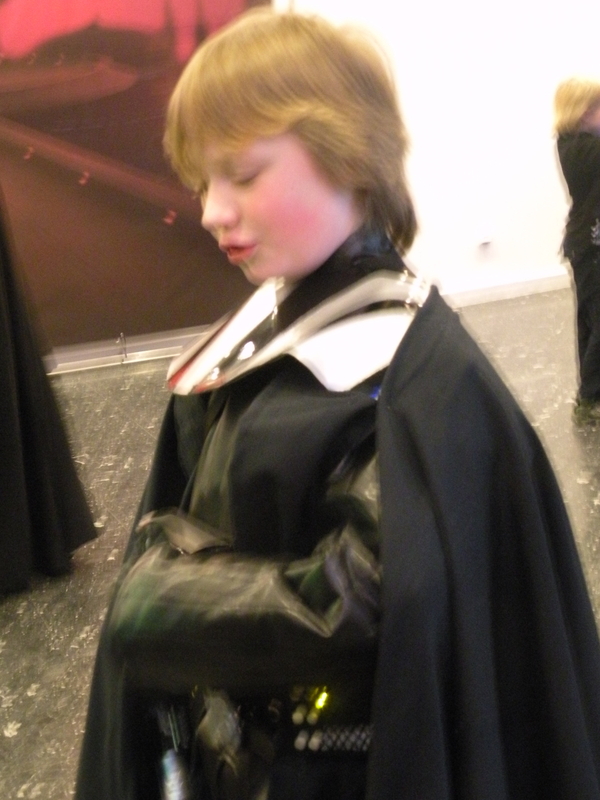 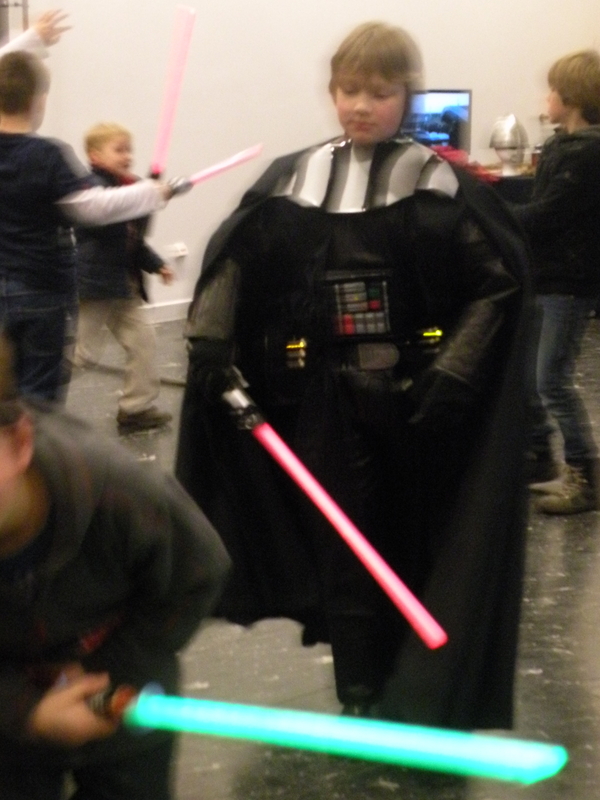 My son and I visited the MovieDays 2012 in Mülheim, Germany; me wearing my Jamillia costume and he wearing his Darth Vader (and yes, of course he got an autograph from David Prowse! 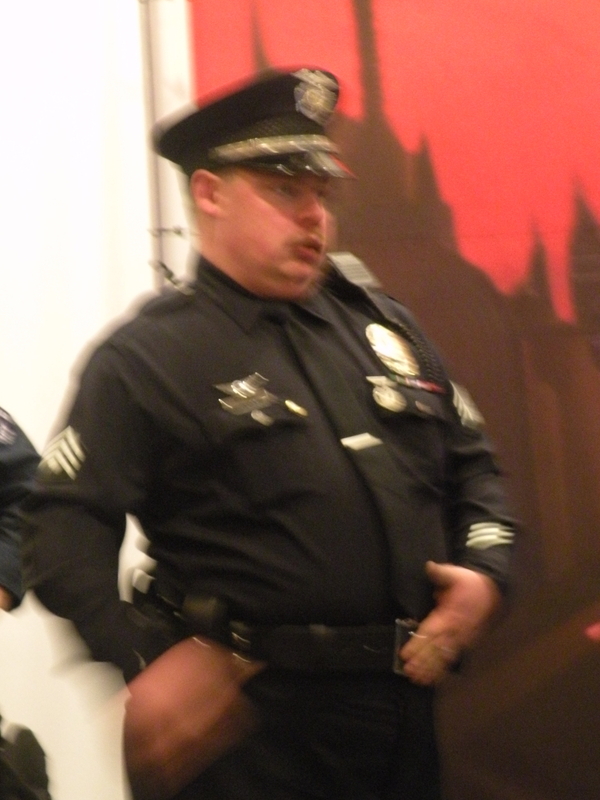 🙂 ). 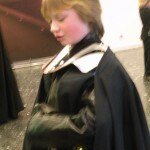 I think Yftach Katzur took at least one pic of me (which seriously gave me goosebumps; after all, ‘Lemon Popsicle’ was one of the movies I sneaked into with my friends when we weren’t even old enough to legally see it (I think I was 11 or 12 at that time!). 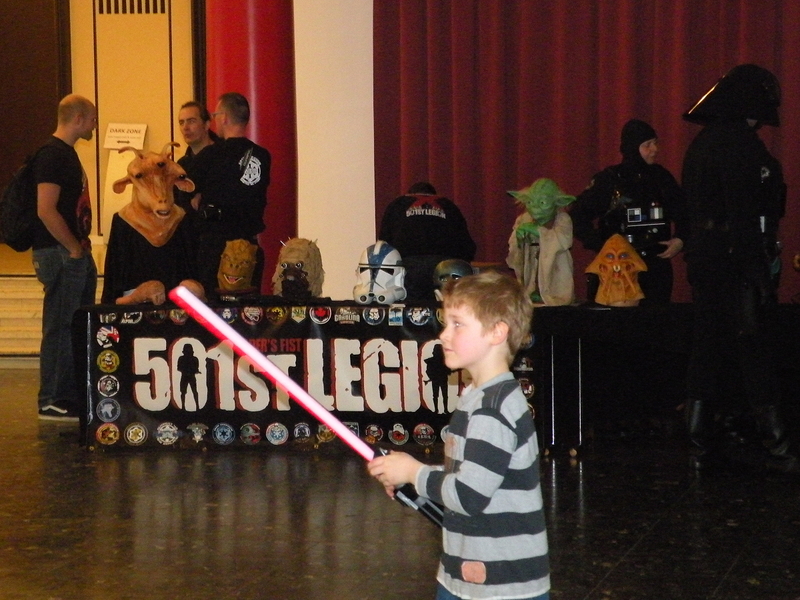 In other news, I had some great talks with members of the 501st and of the Star Wars Club Nuremberg and, of course, with lots of visitors. 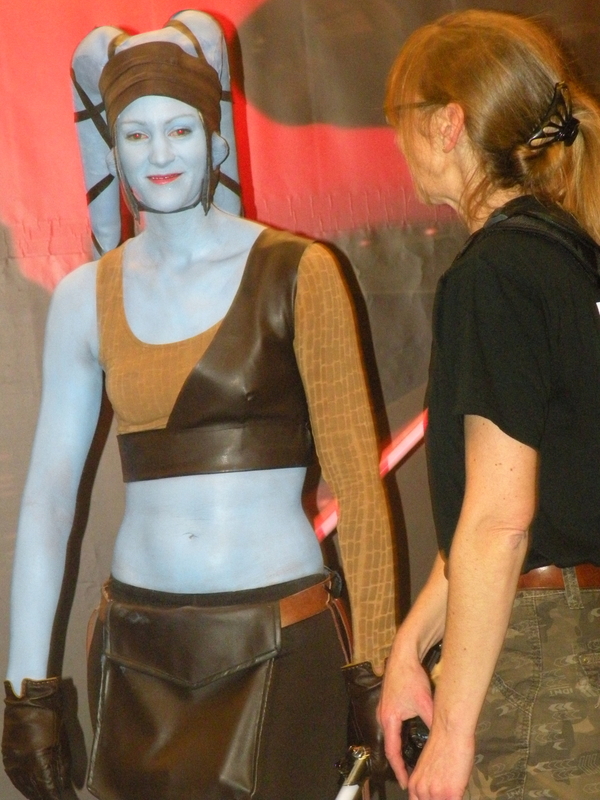 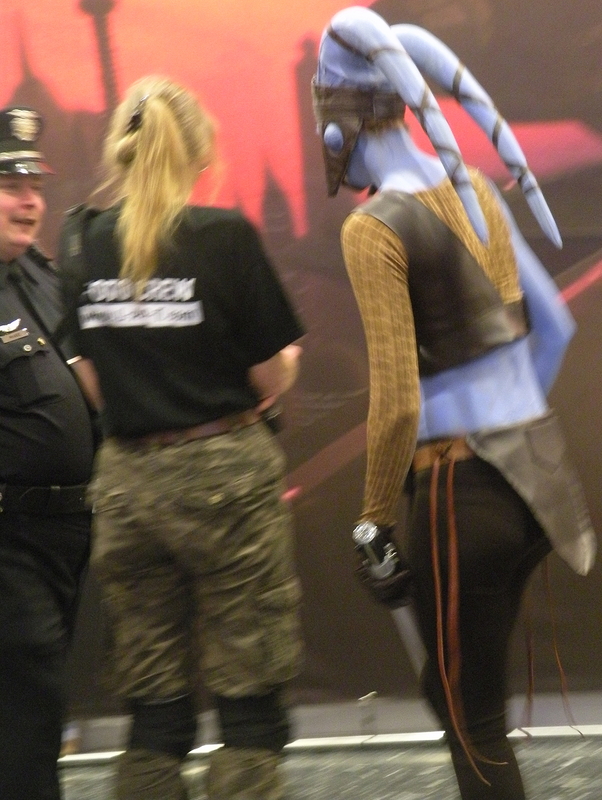 I think this was when I explained how LARGE and HEAVY and WORK INTENSE the Jamillia costume is, and how George Lucas seems to have made fun of it by NOT showing much of the embroidered underdress in the movie. 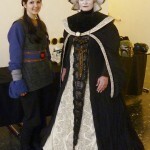 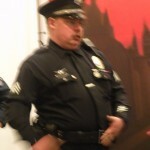 And yes, the ‘back fans’ of the hair are fake (strands of fake hair which I’ve sewn and glued to a base of craft foam). 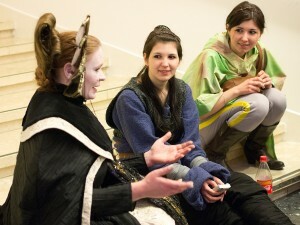 Just the braided parts at the very back of the head are my own, natural, waist-length hair. Also, I know that Jamillia’s hair in the movie is black wit brown streaks, while mine is more like completely dark strawberry blonde. 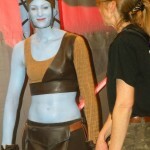 After dyeing my hair black ONCE for a costume (and taking three years to grow that dye out again…), I don’t want to dye it again, so I went for my own hair color for the entire hairdo.